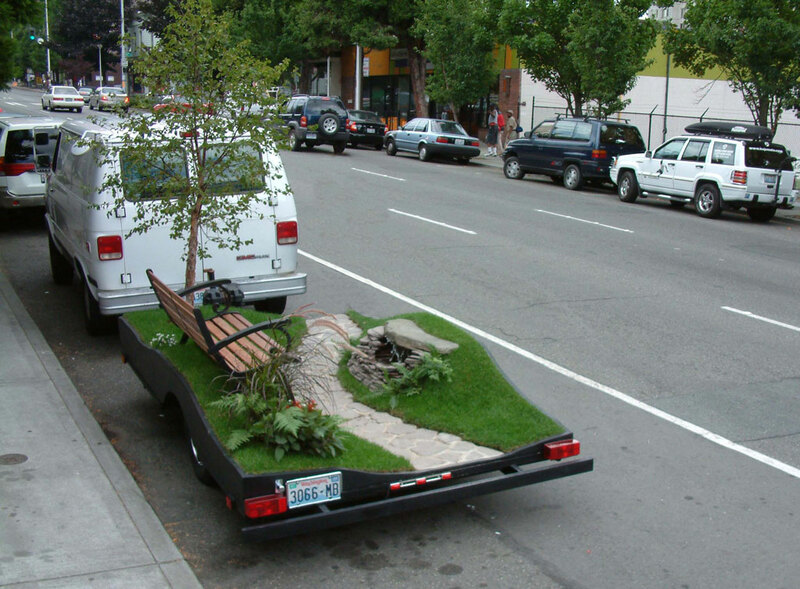 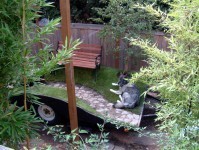 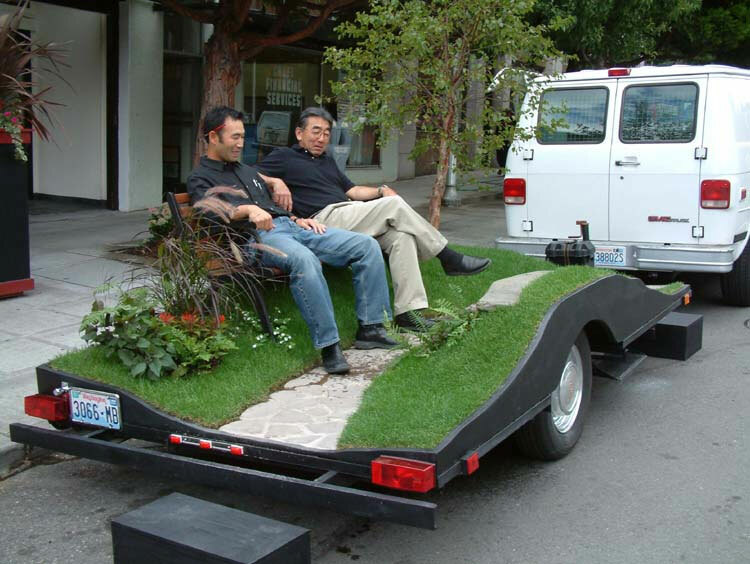 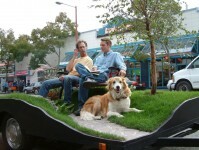 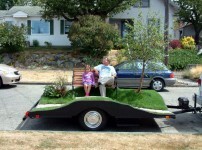 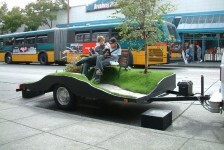 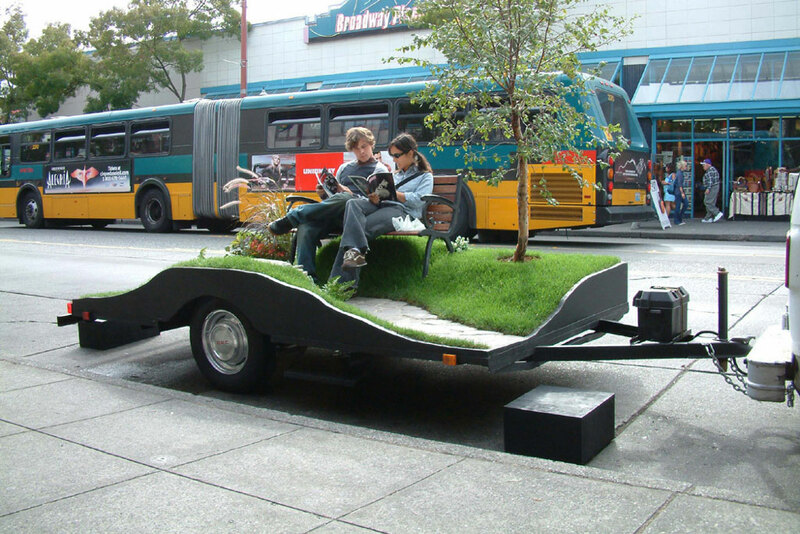 Mobile city park constructed on a flat bed trailer. 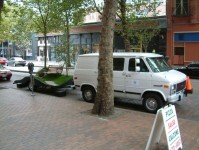 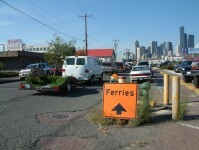 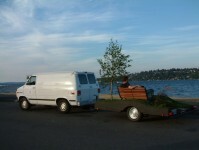 Tours Seattle during spring and summer months. 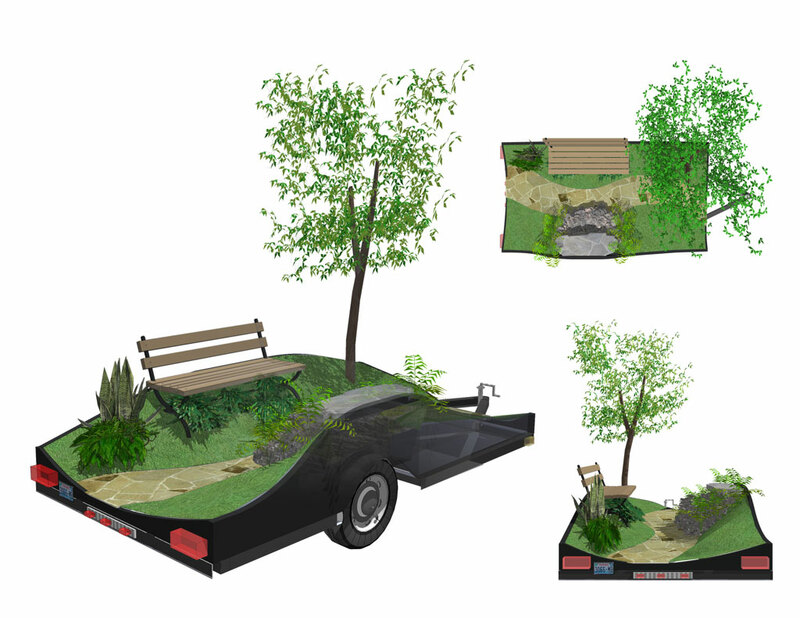 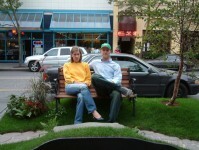 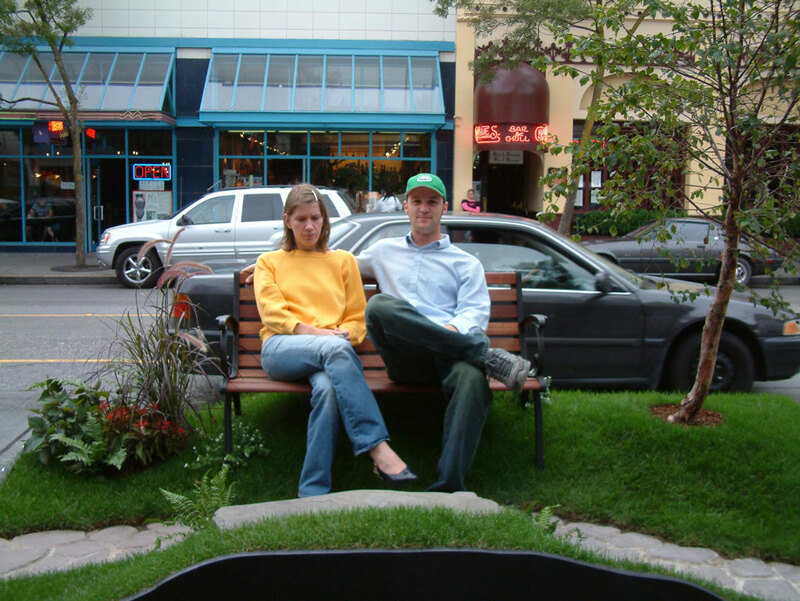 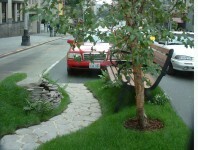 Park features include: bench, fountain, live plants, tree and grass. 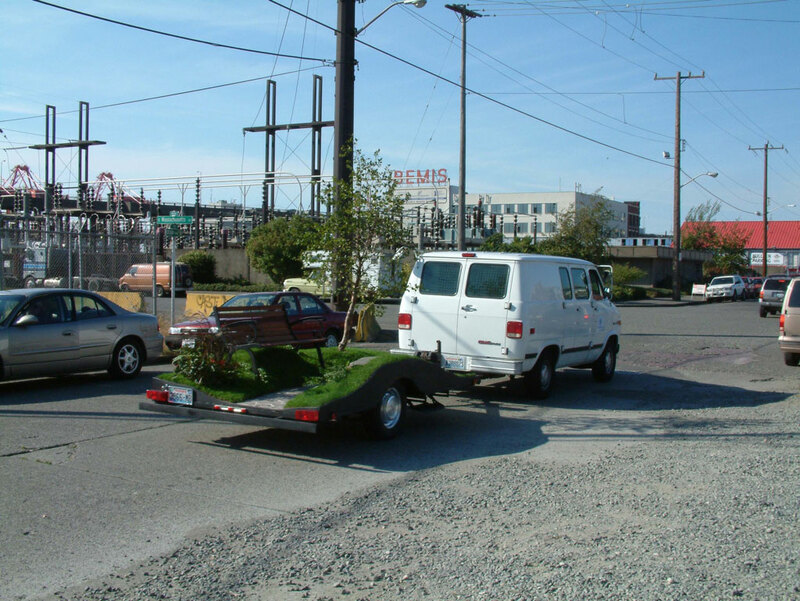 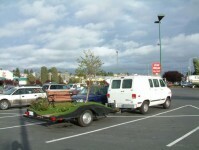 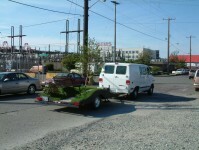 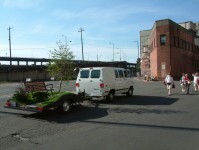 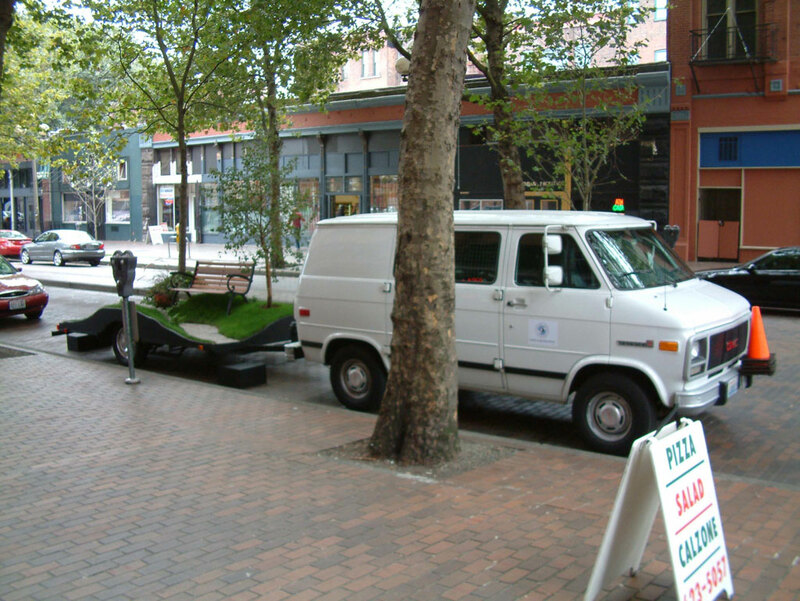 Trailer Park typically tours more urban settings.